DANNY MAUN believes it is the right time for him to step into a head coach role after being appointed by Dewsbury Moor. James Delaney stepped down from the role this week after leading the Maroons to back-to-back promotions, to focus on his own playing career. That has presented the chance for Maun, who has been back playing with the community club this season, to take the reins of the first team. And he sees it as a great opportunity to continue his own development as a coach. “I’ve enjoyed my time down there. 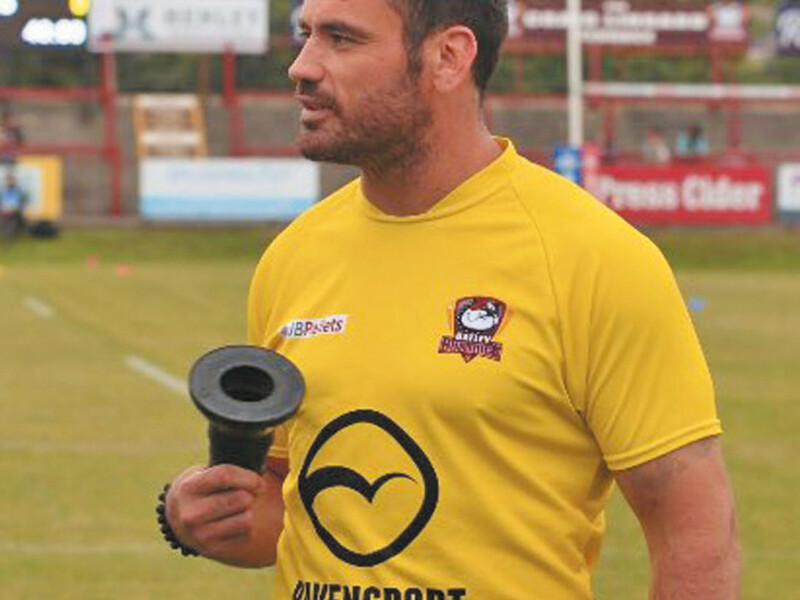 I enjoy being assistant coach at Batley but I just feel like I could develop my own style and coach at a lower level. “I’ve learnt a hell of a lot from (Bulldogs coach) Matt Diskin these last two years, and John Kear and Karl Harrison (before Diskin), and I just feel that it’s the right time for me to go and develop my own style of coaching. “I did the Heavy Woollen team a few years back and enjoyed it, and I think it’s just the right thing for me at this moment. The Maroons are on the up after sealing a second consecutive promotion, but Maun says survival will be the main goal in the NCL Division One next season. “You can’t just go in and change everything, and I think that’s some coaches’ mistake. If you start going in and making wholesale changes you’re going to come unstuck. “I’ve got a good group down there, some good young lads, but I think my goal is just staying in Division One next year. Maun adds that helping the younger players at the club, who have produced the likes of the Burgess brothers, is a top priority for him. “I always want the young kids to get a shot in the professional game, and there’s some good young players down there,” he said. “Archie Bruce could definitely step up, and James Delaney has always got a good chance of going back into the professional game. “Obviously Toby (Richardson) has stepped up this year (for Dewsbury Rams). George Croisdale would play at a higher level but his job stops him from doing that. Then you’ve got players like Brad Adams and Dom Horn, who are all ready to go and play in the higher divisions.